#123. 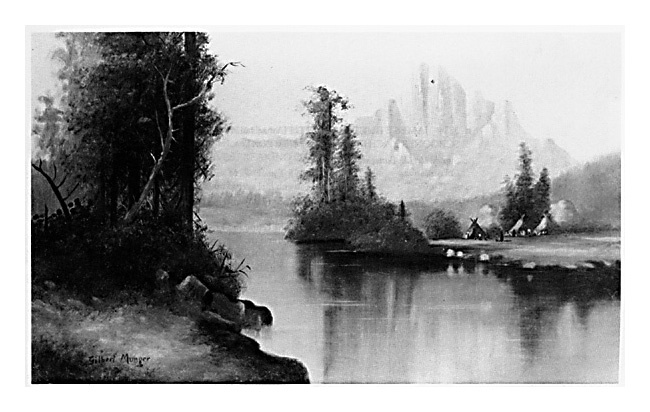 Teepees by the River Bank. 14 x 23.5, oil on canvas. "Gilbert Munger" lower left. 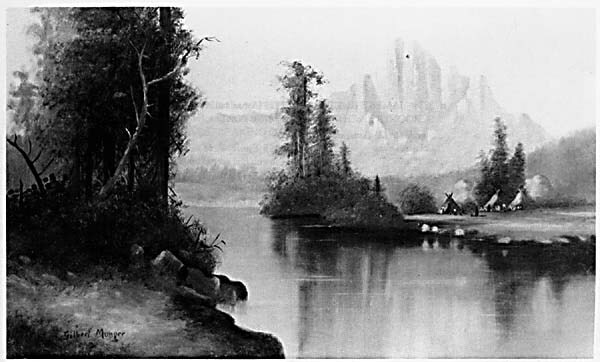 This painting is assigned a Wyoming location based on the similarly of the rock towers in the background to those in colorlithograph #149, but Utah is also a possible location. Sold for $5000 + 10% at Butterfield & Butterfield, San Francisco, auction of 20 June 1985, lot 3353. Image from auction catalog.